Consider just a handful of the things we take for granted. Every time you check your e-mail, use your smart phone, scan your groceries in the self-service lane, or start your car without a key, you are using technology that was unheard of a generation ago. How would our ancestors react to such innovations as Google Glass, household robots, human genome sequencing, and Skype (not to mention seedless watermelons)? Imagine how the first passengers of London’s 1829 horse-drawn omnibus would react upon entering a modern day motorcoach with its wireless Internet service, DVD players, and global positioning systems! The Global Positioning System (GPS) is a space-based network of 24 satellites placed into orbit by the U.S. Department of Defense (beginning in the 1970s and completed in 1994). At a cost of $12 billion, the system was originally intended for military navigation but became widely available for civilian use in the 1980s. GPS works in any weather conditions, anywhere in the world, 24 hours a day. 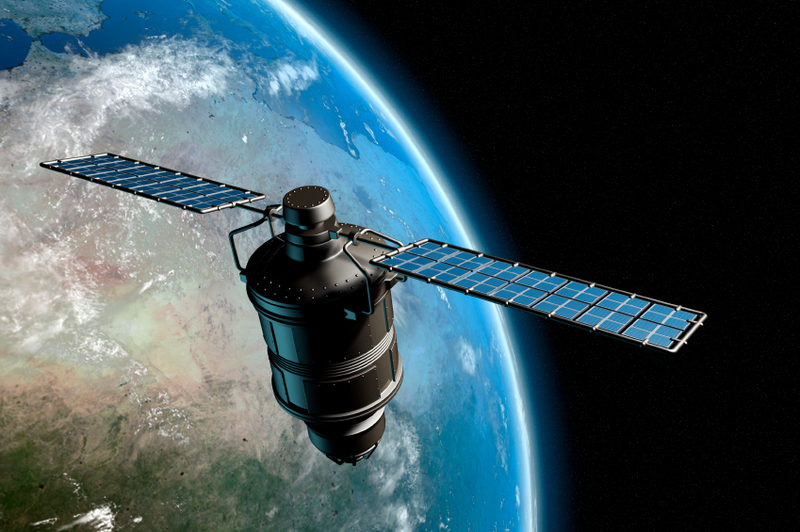 GPS satellites circle the earth twice a day, in a precise orbit, 12,000 miles above us. They are powered by solar energy, with backup batteries onboard to keep them running in the event of a solar eclipse. Traveling at 7,000 miles an hour, these satellites transmit signal information to receivers on earth (like the one in your car); the receiver triangulates this information to calculate the user’s exact location and display it on the unit’s electronic map. Once the users’ position has been determined, the GPS unit can calculate other information—such as speed, bearing, track, trip distance, distance to destination, and more. If you drive a car, you are probably familiar with GPS navigation systems that provide turn-by-turn directions and route instructions on an in-dash monitor. The GPS can show (and tell) a bus driver exactly where the bus is at any given moment, how to get to a specified location, what direction the bus is driving in, how fast it’s going, and when it will arrive at its destination. In the case of detours or a wrong turn, the GPS makes adjustments and gets the driver back on track. Most systems talk out loud, in whichever calm, pleasant, and authoritative voice the user chooses. (This explains why people sometimes give their navigation system names like Nigel or Amelia.) Sophisticated systems allow the driver to pinpoint the vehicle’s location on a street map, stay abreast of traffic conditions, and specify preferences (such as “no toll roads” or “fastest route”). The bottom line: fewer delays, less fuel consumption, and no danger of getting lost on unfamiliar back roads. Track the exact location of any bus at any moment. Should a bus break down or go off course, the company can locate it immediately. Respond to emergencies. Rare as they are, accidents occasionally happen; and when they do, every minute counts. No matter where the bus is, a diagnostic system will supply the precise GPS coordinates (not just a vague landmark or a mile marker) to an emergency responder. Monitor bus speed, mileage, and driver performance—including braking, acceleration, and steering habits. The implications for passenger safety are clear. A driver who knows that he or she is being monitored is a better driver. Stay on top of maintenance. A diagnostic GPS can monitor engine speed, oil pressure, coolant temperature, and other factors, telling the maintenance department when vehicles are due for service. GPS technology has changed how buses are operated and managed. Rather than having to rely on radio contact and guesswork to keep track of drivers and vehicles, it's now possible to have live accurate updates on your buses wherever they go, leading to increased passenger safety, better driver performance, and lower costs. Professional event planners helped us compile a guide for people that are booking a charter for their group. It is a quick read and a wonderful reference for creating the right travel experience for your group. Click on the image above and your FREE guide will be emailed to your in box immediately.